Are you looking for an opportunity to use your police training in a vibrant community made up of thousands of students, faculty, staff, alumni and visitors? Become a commissioned police officer at Bloomsburg University. 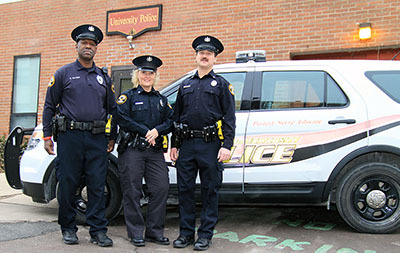 As an officer in the Bloomsburg University Police Department, you will enjoy a challenging. and rewarding career. On Bloomsburg's 282-acre campus, you wil lhave a direct impact on a diverse community as you perform a variety of police duties. To apply for your new career as a police officer at Bloomsburg University, see bloomu.edu/jobs.